Ben Affleck is fast becoming one of my favorite directors. 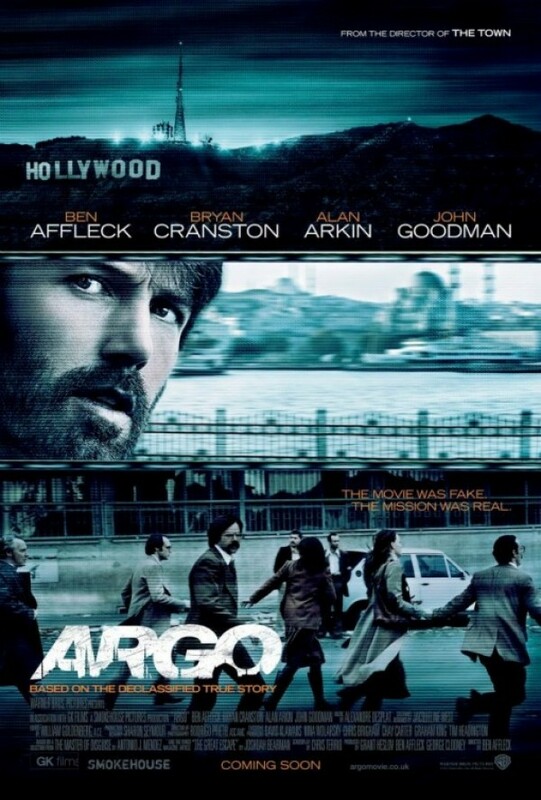 Argo is set during the Iran hostage crisis that began in 1979. Unbeknownst to us until the Clinton administration declassified CIA documents, six Americans managed to escape from the embassy and find refuge in the Canadian ambassador's home. (Victor Garber as Ambassador Ken Taylor.) And they did it with a little help from Hollywood. Affleck's Tony Mendez, the CIA exfiltration expert enlisted the help of an unlikely friend: Oscar-winning make up artist John Chambers---the always charming John Goodman---to get the Americans back home. 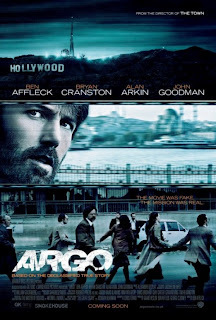 The wacky plan is for the foreign service workers to pretend to be Canadians location-scouting for the sci-fi movie "Argo" in Iran. A hilarious Alan Arkin plays the sardonic producer Lester Siegel, who agrees to make the fake movie. Bryan Cranston is Mendez's superior, Jack O'Donnell, who agrees to the "best bad idea". This part of the movie provides the comedy as it lovingly satirizes Hollywood. The film opens with a scorching history lesson on American involvement in Iran, and goes right into the frightening embassy siege. (Benghazi immediately came to my mind.) The rest of the movie is a nail biter, as the crazy plan gets executed. Even though we know how it ends, the filmmakers manage to keep the suspense up. Mission accomplished, Mr. Affleck.